How did Amelia Earhart learn to fly? How was flying then different than it is today? 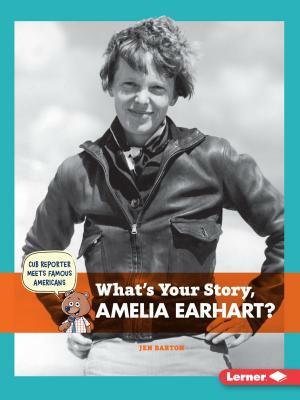 Cub Reporter interviews Amelia Earhart to find out how she made a difference in the world of aviation and defended women's rights. Learn how Amelia fought against adversity to become the first woman to fly across the Atlantic Ocean. Discover how she stood up for other female aviators and the ways she fought for gender equality. Readers will see how to use interviewing skills and journalistic questions to reveal the story behind a famous American.